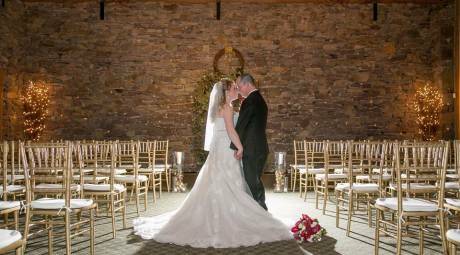 Country Club Weddings in Montgomery County, Pa. 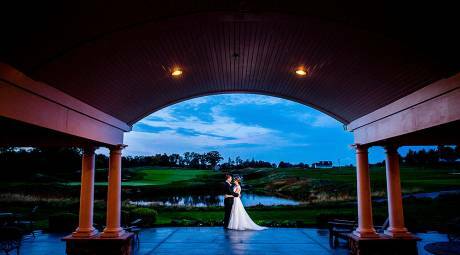 Among Montgomery County's 54 golf courses are some of the area's premier wedding venues, mixing the elegance of country club with the rustic feel of the Philadelphia countryside. 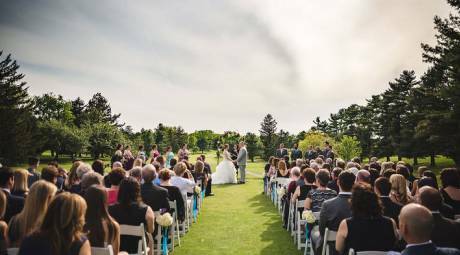 From intimate weddings of 25 to 50 guests to large gatherings with 250 of your friends, the 1912 Club (formerly Plymouth Country Club) has both outdoor and indoor venues to help you create a dream ceremony or reception. La Massaria at Bella Vista, created out of a stable that was part of the farm on which Bella Vista Golf Course was built, is a stunning space with stone walls, barn boards and exposed wooden beams. The Loft at Landis Creek combines the best elements of a country club wedding and a barn wedding. The Loft can accomodate up to 200 for dinner and dancing in a breathtaking space with a beautiful view of the course. Macoby Run Golf Course recently opened a new open-air event center, perfect for a relaxed wedding reception surrounded by the beautiful course. At North Hills Country Club, it doesn't matter how big or small you dream. For intimate receptions, the covered terrace is the perfect fit. If you want to invite a few more of your friends, the ballroom has space for 200 guests. 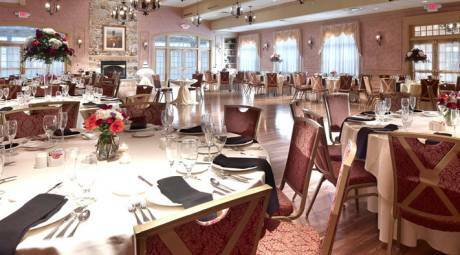 Pinecrest, located just outside of Lansdale, offers a spectacular ballroom with room for 270. Catering can be tailored to any special menu requests, including Kosher and ethnic foods (including Indian weddings). Rivercrest features two amazing wedding venues: the Roberts Room, with its beautiful arched windows, and the Patio Terrace with seating for up to 200 guests. And the course's waterfall provides a stunning backdrop for your wedding photos. Talamore Country Club offers three incredible indoor spaces: the two-story Conservatory Ballroom with 30-foot waterfall and grand staircase, the Magnolia Room with vaulted ceilings and seating for 150, and the Monet Garden Room with tropical gardens and patios. With a stone fireplace, large picture windows and space for up to 180 guests, the Club at Shannondell's banquet space is ideal for your reception. The venue's event manager can also help you plan every detail, from decorations to food to photography. A memorable setting for special occasions of every kind; Spring Ford Country Club is dedicated to providing the finest food, service, and atmosphere. The beautiful Ballroom and Fireside room has seating for 240, a large dance floor, and a huge covered deck which overlooks the picturesque golf course. An elegant fireplace provides the perfect backdrop for photographs to remember your special day. 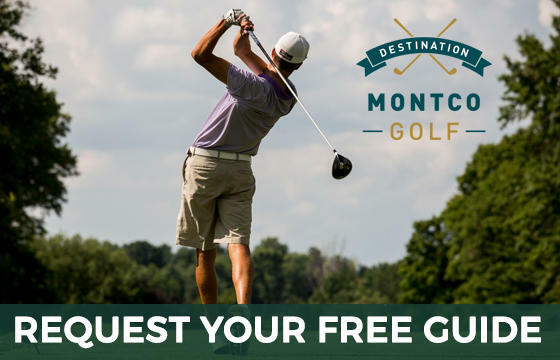 Westover Golf Club provides some of the best public golf in Montgomery County. The 18-hole, par-70 course combines hills, hazards and natural obstacles to challenge every golfer. In addition to its gorgeous reception space, Downingtown Country Club offers an array of wedding packages, including Southeast Asian weddings, Friday night weddings and champagne brunch weddings. Vaulted ceilings and a patio overlooking the scenic golf course make Spring Hollow Golf Club such a desired destination. The property's silo gives it the feel of a rustic farm wedding. Blue Bell Country Club&apos;s Grand Ballroom is ideal for weddings of up to 260 guests. Two sister properties, the Normandy Farm Hotel and The Farmer&apos;s Daughter Restaurant, are located across the street and offer additional amenities and options. 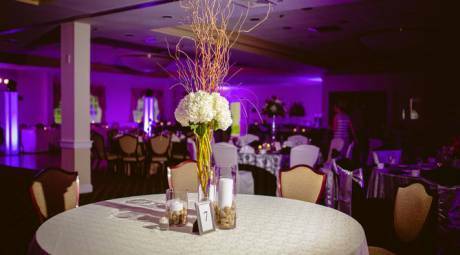 Perfect for ceremonies and receptions, the Brookside Country Club can accommodate 50 to 220 guests in ballroom. The fireplace room and tent-covered patio provide additional settings for your friends and family to gather. 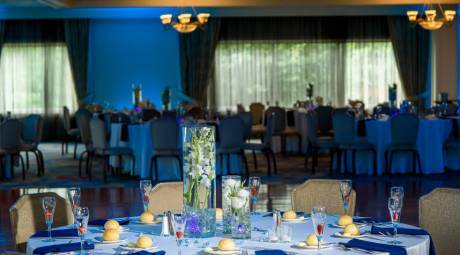 Cedarbrook Country Club has one of the most unique ballrooms in all of Montgomery County, topped with a cathedral ceiling that will have you and up to 185 guests in awe. The Green Valley Country Club in Lafayette Hill offers space for indoor and outdoor ceremonies, with a Grand Ballroom to host 330 guests for your reception. 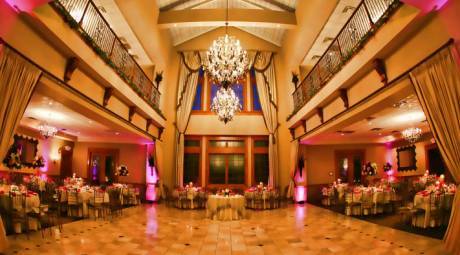 Huntingdon Valley Country Club's European-style ballroom is a gorgeous venue for large gatherings. But it also provides the perfect space for bridal showers and rehearsal dinners, like the intimate Presidents Room and Hyndman Room, each with space for 40. Philadelphia Cricket Club is the oldest country club in the United States and has earned its reputation for putting on premier events in its beautiful ballroom. Center Square features two indoor spaces: the Grand Ballroom for up to 200 and the Players Room that holds up to 60 guests. Wedding packages at the club include an open bar, butlered hors d'oeuvres and champagne toast. The Manor House at Commonwealth is a fieldstone farmhouse with modern amenities. The multi-level veranda will impress your guests during the cocktail hour. 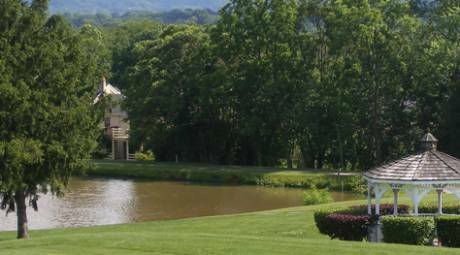 This nine-hole golf course is one of the most storied and historic in Montgomery County, and its ballroom, with floor-to-ceiling windows and veranda is one of the most breathtaking in our region. Hickory Valley Golf Club offers two unique spaces for your wedding and reception. The Outdoor Pavilion can seat up to 300 in a picnic-style setting while the intimate Masters Lounge is ideal for parties of 100 or less. Up to 350 guests can celebrate with you at Indian Valley Country Club. The Grand Ballroom makes quite an impression, with large picture windows, grand chandeliers and delicious dinner options. From the moment you enter the Tudor-style clubhouse at LuLu Temple Country Club, you can't help but feel inspired. A two-story fireplace, classical piano and grounds that include a fountain and botanical garden only add to the charm. 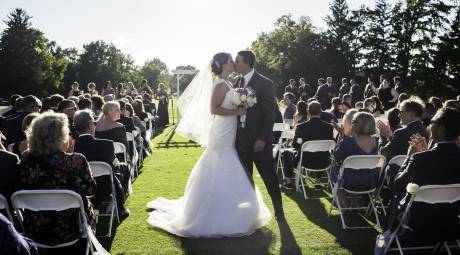 Manufactuerers' is one of Montgomery County's most renowned golf courses, and its wedding venues live up to that reputation. From the grand ballroom to intimate dining rooms, Manufacturers' is a truly memorable setting. The porticoed Grand Clubhouse at Meadowlands, combined with the property's formal gardens and shaded veranda, make it an idyllic setting for weddings of up to 300 people. 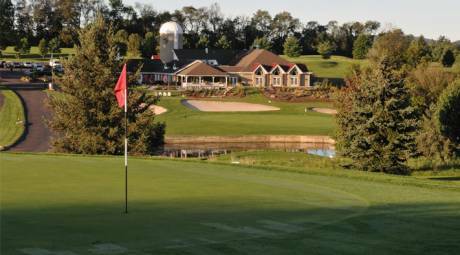 Melrose Country Club offers a 20,000 square foot clubhouse with banquet space for 300. Your wedding ceremony will be even more memorable if its framed by the outdoor garden pavilion. The Old York Road Country Club has everything you want for your wedding from start to finish. Host your ceremony in the club's garden, take your wedding photos in front of the fountain or barn, and host your reception in the charming stone Manor House. The historic Philadelphia Country Club will help you with every detail of your wedding reception, from your customizable menu to the valet service for your guests. 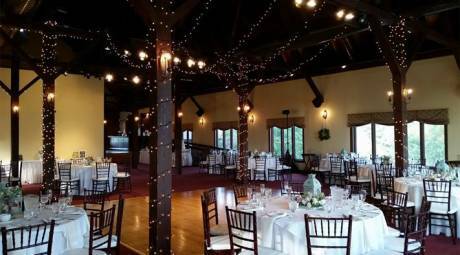 Philmont Country Club in Huntingdon Valley has four unique venues for your wedding, anchored by the spacious, classic ballroom. More intimate venues include the 301 Lounge, the Founders Room and the outdoor porch and patio. 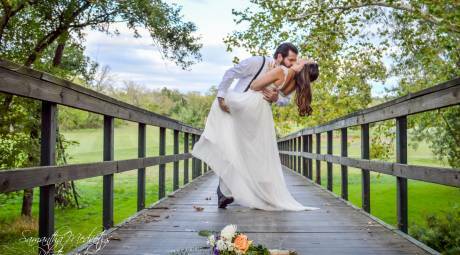 Oreland's Sandy Run Country Club offers everything you could want in a country club wedding: picture-perfect outdoor space, an elegant ballroom, formal dinner and so much more. 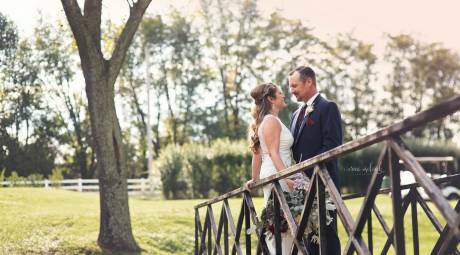 Have your barn wedding with country club style at the Loft at Sweet Water Country Club. The barn dates back to the 1800s and is equipped with a wrap-around terrace that overlooks the garden and waterfall. The Whitemarsh Ballroom at Whitemarsh Valley Country Club welcomes guests via the grand staircase, a showpiece that makes a great first impression on all of your (up to) 350 guests. Worcester Golf Club offers two banquet rooms for your great event. The Terrace Room opens up to the terrace overlooking the golf course and seats up to 60. The Copper Room can comfortably seat 125 in a classic ballroom setting.